This wonderful view was taken from the west bank of the river - you can see both Degewanus Creek(see Image 111) and the Upper Falls in the photograph. 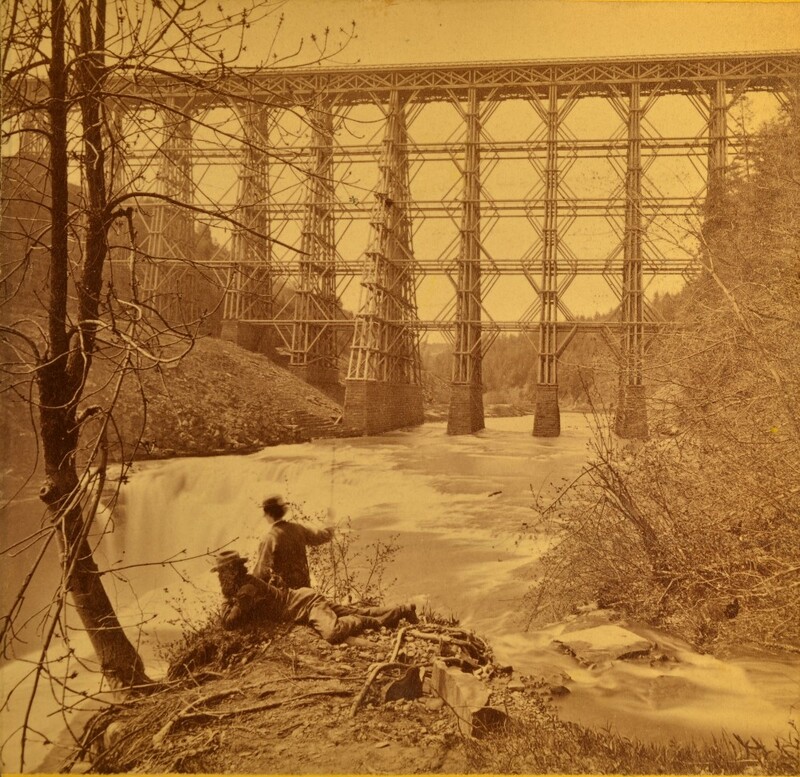 The main focus of the image, however, is the Portage Wooden Bridge towering over the two men and the Falls. It is interesting to note the stone work in front of the largest pier, perhaps added to protect the pier from the effects of erosion. An enlarged version of the image is found below. Special thanks to George Brinkwart for sharing this great stereoview with us!